The church was established in the Saxon era, and its early history is outlined in Historic Sandridge. 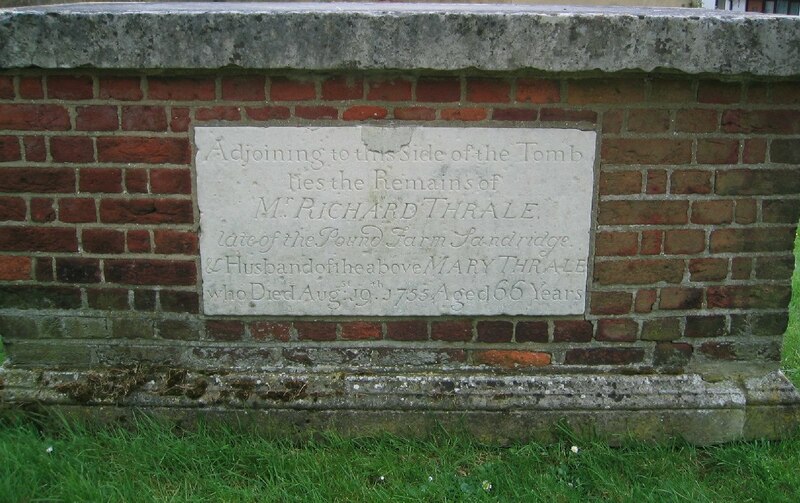 Thrale, William of Beech Hide died October 30 1793 aged 52. All inscriptions below were recorded in 1989 and are taken from the book "Sandridge Monumental Inscriptions" at HALS. 1. Gerish's record of 1909 states 27th. 2. Gerish's record of 1909 states 1852 aged 74. Based on the known birth date, Gerish is almost certainly more reliable. 3. This grave lies in row W of the New Sandridge Churchyard.